In our research into providing safe drinking water to all, we realised there was a tremendous opportunity to improve both the performance and design of the water filters currently available in developing nations. So we challenged our industrial designers and engineers to create a better filter. 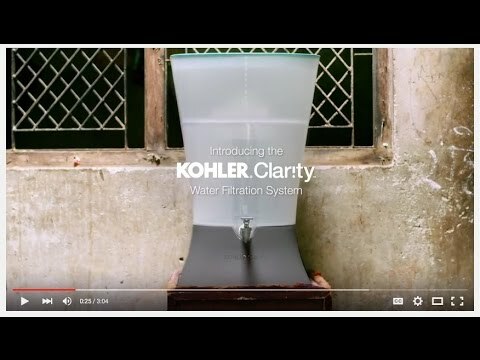 We believe they did just that with the KOHLER Clarity system. Look inside the Kohler Waste Lab, where we’re asking how industrial waste can be kept out of landfills and transformed into something of value. The Waste Lab’s sole purpose is to imagine and create new uses for clean manufacturing waste.